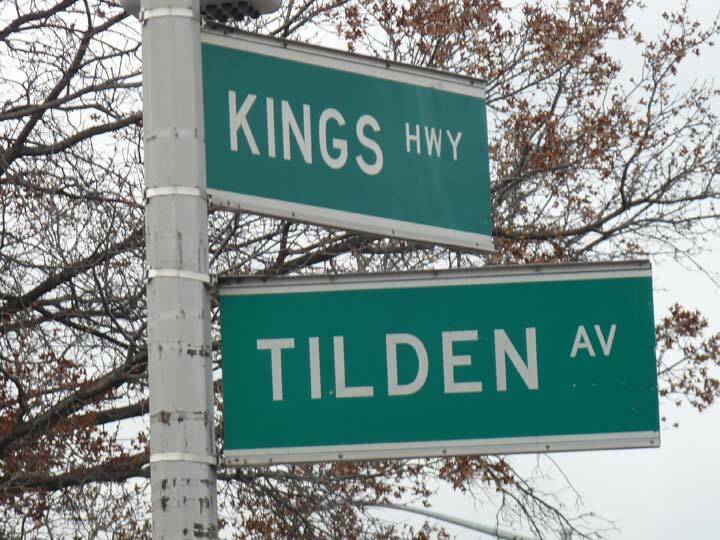 I am planning a feature on a walk I undertook from Parkville to Brownsville, Brooklyn soon enough, but here is a curiosity I couldn’t keep to myself for too long: the presence of extremely large streets signs on a stretch of Kings Highway in East Flatbush, from Beverl(e)y Road to Tilden Avenue. These signs have been up for 25 or 30 years in a few spots. All will be sacrificed sooner or later to the edict for caps-lower case street signs, which will likely be regulation-sized. Larger street signs have been hung from guy-wired stoplights (a practice apparently copied from the West Coast especially Los Angeles) but the size of these lamppost-borne signs is surprising, if you’re not used to them. The reason for them can only be surmised but at one time, the Department of Transportation may have been doing a pilot program with larger signs on busy roads such as Kings Highway that have synchronized stoplights. In any case, I like them, so I wish their reach could have been expanded. Hm, if they’re not synchronized that knocks out my guess why there are those extra large signs. I believe the lights are synchronized in rush hour. Why is the federal government telling what type of street sign design to use? This is another example of BIG GOVERNMENT dictating everything. 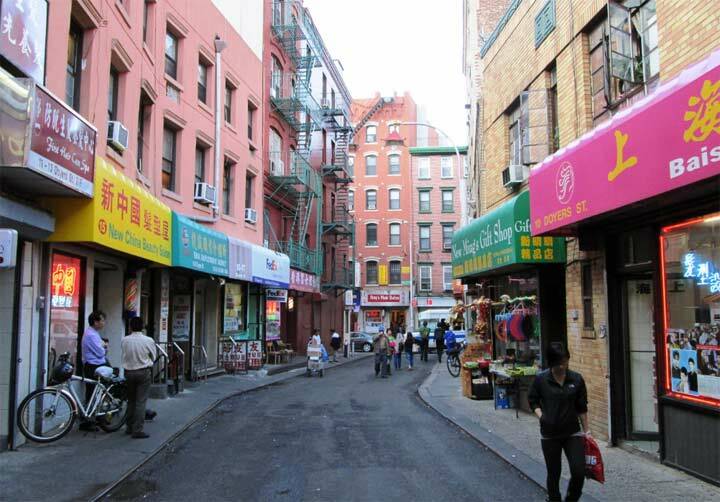 Also if white on green is the mandated format, then why are there so many different designs of street signs, especially in Manhattan. I also spotted white on blue signs in Suffolk County, similar to the old Bronx design. I miss the color coded signs that I remember from the 1970’s. I do not like lower case font. Is this to impress the damn millenials?